Underscoring the important role fashion plays for hoops fans, Express took over the VIDA Cantina restaurant at Epicentre with its Dress Like a Pro pop-up shop. The sleek black-and-white-themed space featured a variety of basketball-themed installations, oversized graphics of NBA players covering the walls, a cash bar and small bites available for purchase, player appearances and a chance for fans to win tickets to a future NBA game of their choice by snapping a pic inside the shop, tagging @ExpressMen and using the proper hashtags. 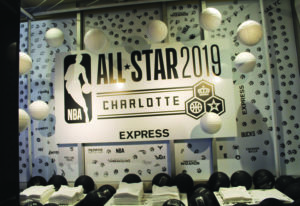 Attendees could also purchase items from Express’ NBA-licensed collection and create free, personalized tees at the brand’s customization bar after making a purchase. Rakuten was one of few brands activating at Epicentre that leveraged an outdoor footprint to engage fans. 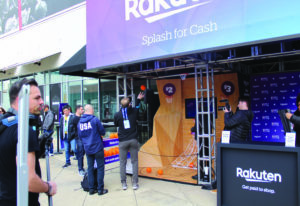 At its Splash for Cash experience, an emcee offered the play-by-play as attendees shot baskets for a chance to win cash rebates and other prizes, including tickets to the All-Star game. 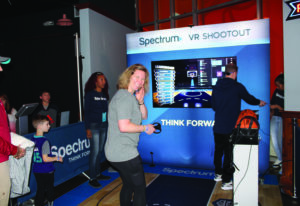 There were also appearances by players like Muggsy Bogues and the WNBA’s Elena Delle Donne, a photo op for winners of the shoot-out game and branded swag to take home. The activation consistently drew a crowd of curious onlookers who passionately cheered on participants and engaged in the fun. 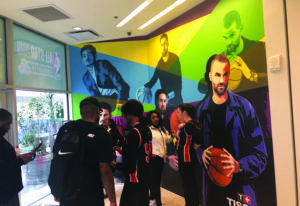 Swiss watchmaker Tissot activated its Tissot Style Lounge experience at a shoppable pop-up store located next to Epicentre, which served as a chill space for appearances from the likes of Kemba Walker, Klay Thompson and other NBA stars (and the EPIC lines they attracted). Engagements for fans included an interactive mural by NBA artist Victor Solomon, a mixed reality buzzer-beater game in which participants could test their shooting skills against a branded shot clock and the Tissot Style Watch video experience, which allowed fans to take a strut down a runway and make their “style statement” while donning Tissot watches. Fans could also wear their Tissot watch, or buy one on-site, to gain access to the “Quickster” line for all Tissot events and activations. We weren’t fortunate enough to experience JD’s House No. 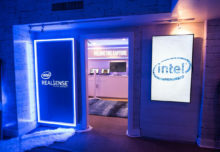 7 experience at the NBA Crossover space while it was open, but the brand offered a number of fun touchpoints including a VR tour of its distillery, an on-site barber shop, a display of its traveling art and music exhibition and signature cocktails slung from behind a branded bar (Agency: Mirrorball). This was one for the books. Nike and Jordan Brand joined forces to take over Charlotte’s historic Mint Museum, located within walking distance of Epicentre, with an Owners HQ experience that invited fans to “own the game.” The massive space allowed the brands to offer a wide variety of hoops-themed touchpoints, not the least of which was a fully functional basketball court on the ground floor of the museum where basketball skills and drills clinics were held and an “Owners Court” competition was held. Digital signage projected onto the walls, and a dj and an emcee kept onlookers, ourselves included, engaged in the on-court competition. 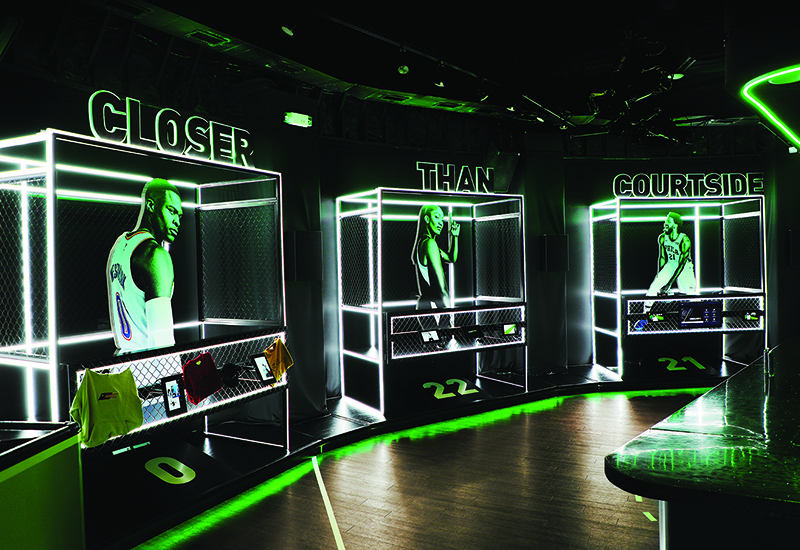 Also found on-site: an installation featuring jerseys worn by NBA legends, a customization station where fans could create personalized uniforms, a SNKRS pop-up shop experience based on Nike’s mobile app and a “perfect fit” engagement that let attendees test out Nike’s new Adapt BB self-lacing shoe. Nike and Jordan also created an Owners Gallery that served as an educational space offering a glimpse into how the game of basketball was founded. 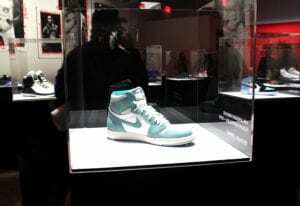 An array of interactive, life-sized screens offered basketball education while sneakers worn by NBA stars like Michael Jordan were presented in individual glass display cases for attendees to drink in. A partnership between the brands and Snapchat also surfaced at Owners HQ, where a handful of staffers from the social media company were available for 20-minute sessions during which attendees could learn how to create a custom Snapchat filter. The lines for what we felt was a unique and compelling experience were surprisingly short. 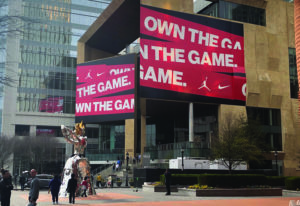 Rounding out their All-Star presence, Nike and Jordan partnered with Foot Locker on an activation located across from the Spectrum Center, which featured a House of Hoops Courtside pop-up shop. 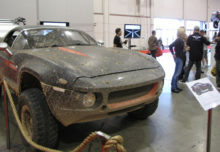 The activation included a series of Q&As with Nike endorsers, Nike and Jordan Brand product cube displays, a footwear zone for shoe launches, a sneaker personalization station, a dj and the Nike Adapt Basketball Zone and Court where consumers could try out the brand’s Adapt BB self-lacing shoe (Agency: Production Glue). For the first time, Bleacher Report turned its House of Highlights platform into a live experience, just in time for the brand’s B/R x NC community event, held at the Music Factory in Charlotte on Feb. 17. Our time at All-Star had come to a close by Sunday, but we’re told the event was well worth a mention. 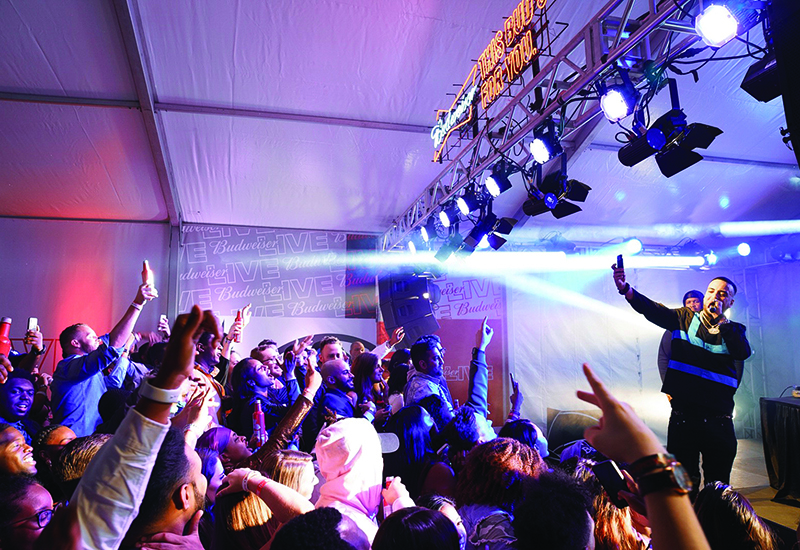 The publication served up competitive games on two basketball courts, a dj battle, a gaming lounge, art and style installations and a live performance by 2 Chainz to close out the event. 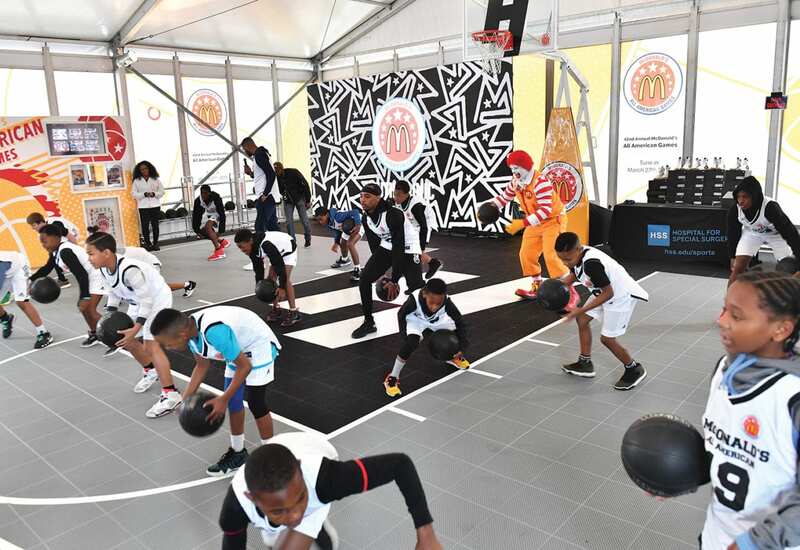 The fast food giant marked its second year partnering with Bleacher Report for All-Star Weekend ahead of the McDonald’s All-American Games, which support and highlight the nation’s top high school basketball players. 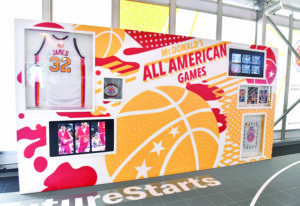 Activating at the B/R x NC community event, McDonald’s sponsorship entailed an All-American Art Wall multimedia installation showcasing top moments and players in the Games’ history; a youth clinic for local kids coached by former NBA players and produced in partnership with the Police Athletic League; a #WhereTheFutureStarts Challenge during which local high school basketball coaches competed in a skills competition to win grants for their schools’ hoops programs; interactions and exclusive media previews with All American Games alum Jay Williams; and, naturally, the McDonald’s Snack Truck serving Big Mac Bacon Burgers and Cheesy Bacon Fries (Agency: Narrative). Bringing attendees “Closer Than Courtside,” Dew offered player interviews (we caught Bradley Beal’s candid Q&A amongst throngs of rabid fans), a Dew mocktail sampling bar lit up with twinkling green lights and a collaborative capsule collection, once again underscoring the role streetwear plays for hoops fans. Attendees could also win gear from a Mtn Dew Ice Locker experience that had participants press down on a can of Dew Ice and, if it lit up, win limited-edition swag. Fans could additionally interact with three vignettes dedicated to athletes who serve as brand partners, including an educational audio experience and a video gaming opportunity, and try their hand at a shoot-out game powered by an interactive floor (Agency: Motive). 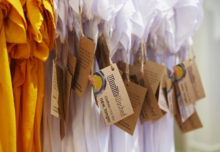 Located within the free fan zone at Epicentre, NBA Crossover was an intimate space that highlighted the convergence of NBA and pop culture through a series of sponsor activations from brands like Levi’s, which offered apparel customization, and Beats, which let fans sample its products and pose for a photo op. 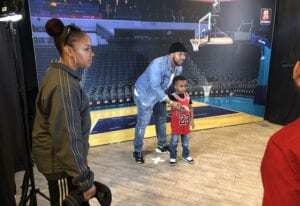 A standout among them was sports apparel brand Mitchell & Ness Nostalgia Co., which offered a social media giveaway contest and fun photo ops, including the chance for fans to see themselves displayed on a large selfie mosaic installation after posing for a photo and posting it to Instagram.